Diabetes is on the rise everywhere, especially in low- and middle-income countries where needed health care and medicines are much harder to access, and reliable information is hard to find. Diabetes is a manageable disease, but without these resources it can result in serious conditions including kidney failure, stroke, heart disease, vision loss and neuropathy. Medication is often an important part of treating diabetes, and regular visits to a doctor and optometrist can catch complications early on. But people can do much on their own to improve their health and prevent problems. Eating healthy, exercising often, reducing stress, and not smoking can be viable ways to better manage diabetes, with or without adequate access to medical care. 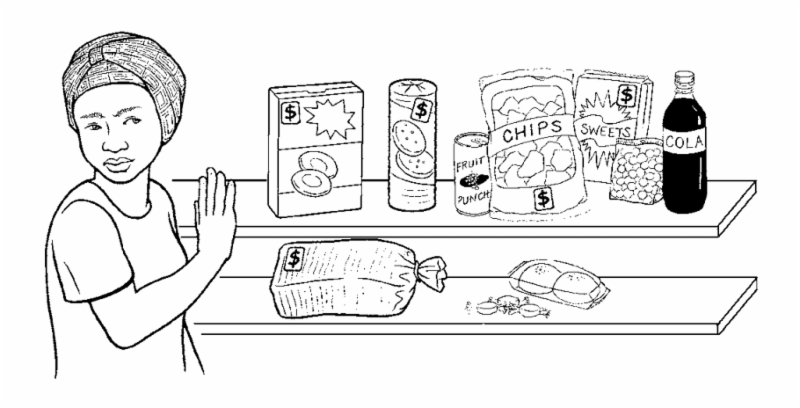 Where there are few doctors or unreliable access to diabetes medications, it motivates people to understand exactly how such lifestyle behaviors help avoid or manage diabetes. And even so, it takes creativity to eat right and exercise enough when good food is expensive or the streets are not safe. That’s why the work of health educators is so important — by sharing prevention strategies, self-care advice and management skills that match real life conditions, they make a critical difference. To help health educators, people living with diabetes, and caregivers or families of people with diabetes, Hesperian’s information is now available as a 52-page booklet. 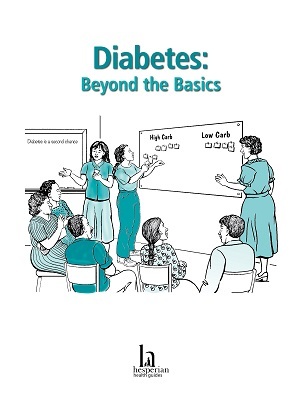 Diabetes: Beyond the Basics provides information on the causes, signs and symptoms of diabetes, and how to best manage it. It addresses the social factors of the disease, suggests strategies for community engagement, explains common medicines, and includes thoughtful discussion questions to facilitate both health educator and self-help groups. Bulk discount prices are available for purchases of ten or more copies.